Regular exercises offer countless benefits. It boosts your immune system, improves your bone health and lowers health risks like heart problem, diabetes and many more life threatening diseases. With the growing family responsibilities and demanding jobs, exercise takes a backseat in the priorities list. Most of us give brilliant excuses for not exercising regularly. Being too busy is the most common excuse one makes. But, with proper planning you can take some time out of your hectic schedule for your future own well-being. There is no doubt that regular exercise is the best path to live fit and healthy life. To begin with exercises, you don’t really need to hit the gym! You start at home! It may seem little confusing at the beginning to start the exercise without an instructor. Begin with short session of easy-to-do exercises. 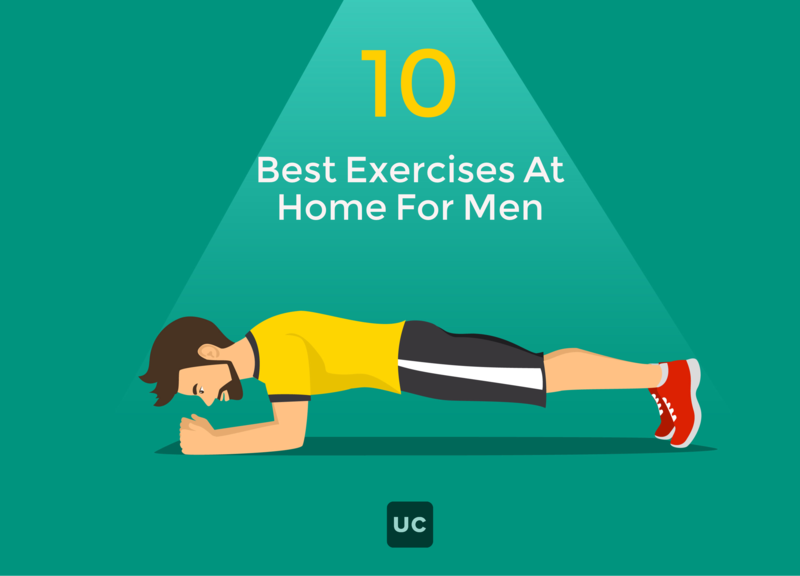 Here are 10 easy-to-do beginners’ exercises that every man can do at home. Basically these exercises need too little or no equipment. You can use your body weight itself as an equipment. This exercise targets the whole body. Jumping jacks are the best cardio exercises. There are various benefits of including it in your everyday exercise program. It makes your heart stronger, builds muscles stronger, helps in weight loss, builds stronger bones and uplift your mood instantly and helps relieve stress. It makes you stronger, flexible by improving your stability and stamina. How to do: Stand straight with your feet together and hands on your sides. 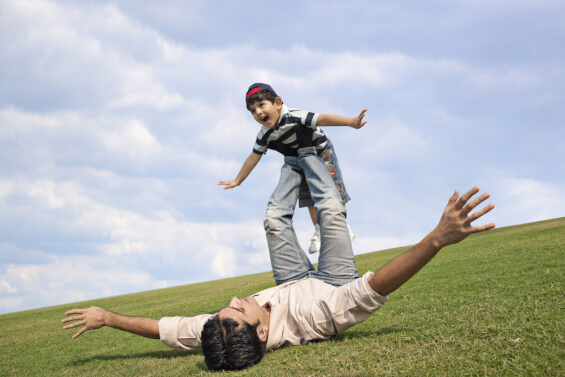 Jump along with raising your arms above your head and bring your feet apart. Reverse the movement immediately and come back to the original position. Start doing it faster. It’s the best exercise for rock hard abs. 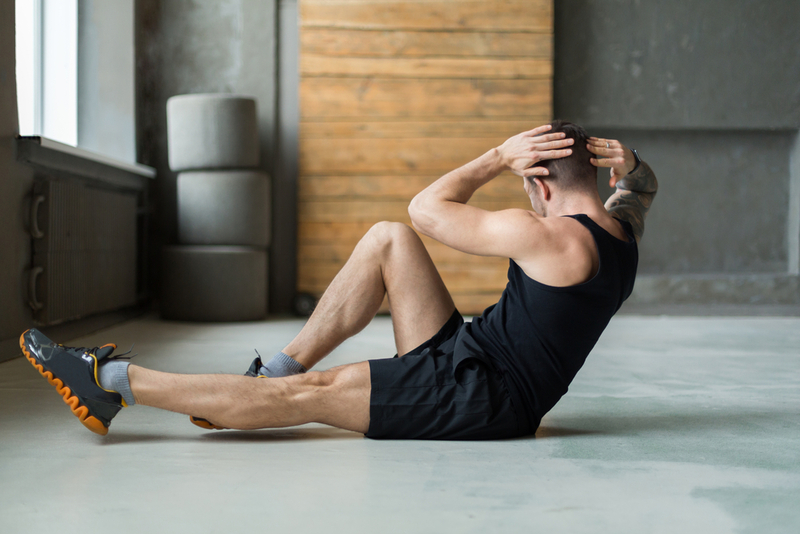 A simple exercise for beginners for stronger abs and to strengthen your shoulder, arms and back. It can be done in many variations. 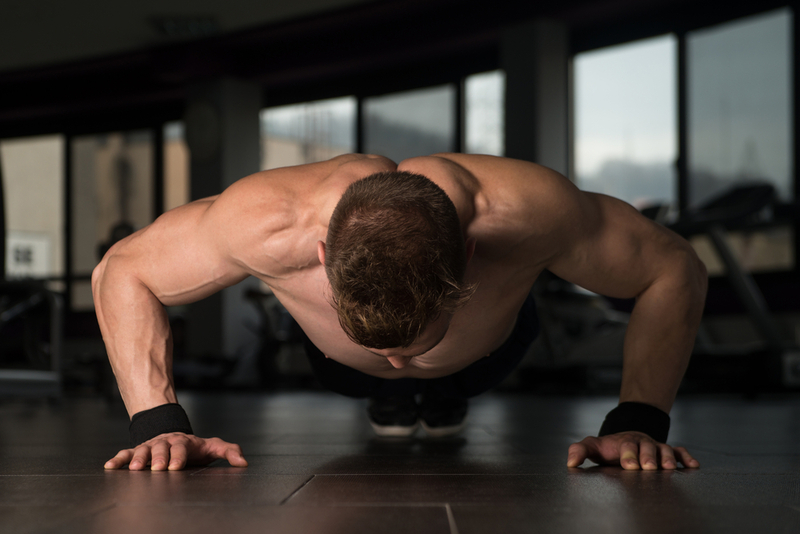 How to do: get into pushup position with elbows bent in 90 degree keeping your body weight on your forearms. Ensure your body forms a straight line from your head to feet. Hold on to the position as long as you can. It’s more effective and easy exercise for abs and the oblique muscles. It strengthens the core and strengthens your abdominal muscles. How to do: Lie flat on your back. Bend your knees with feet flat on the floor. Place both the hands loosely behind your head. Now, bring your right shoulder and elbow across your body and at the same time bring up your left knee towards your left shoulder. Try to touch your knee with elbow. Go back to the original position and repeat the same with the left elbow. It strengthens oblique and helps your build stronger abs. How to do: Start on your side with feet together while keeping forearm below your shoulder. Now slowly raise your hip until your body form straight line from head to feet. Hold on to the position and repeat on the other side too! It helps you get in better shape when included in daily workout plan. 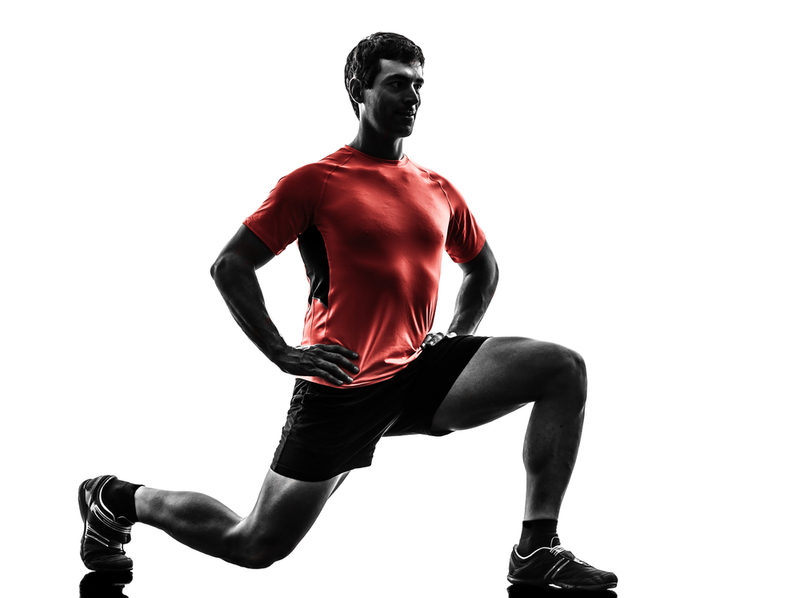 Strengthens lower body muscles for men. It can be done in many variations. How to do: Start with the hips back with back straight, chest and shoulders up. Bend your knees and squat down keeping them in line with your feet. Start with 25 squats a day and then increase. A very good work out on the core that helps you strengthen your lower body and mobility in your hips. How to do: Lower your hip until both keens bent in 90 degree angle. Step forward with one leg while keeping your upper body straight and relaxed. Come back to original position keeping the weight in your heels. 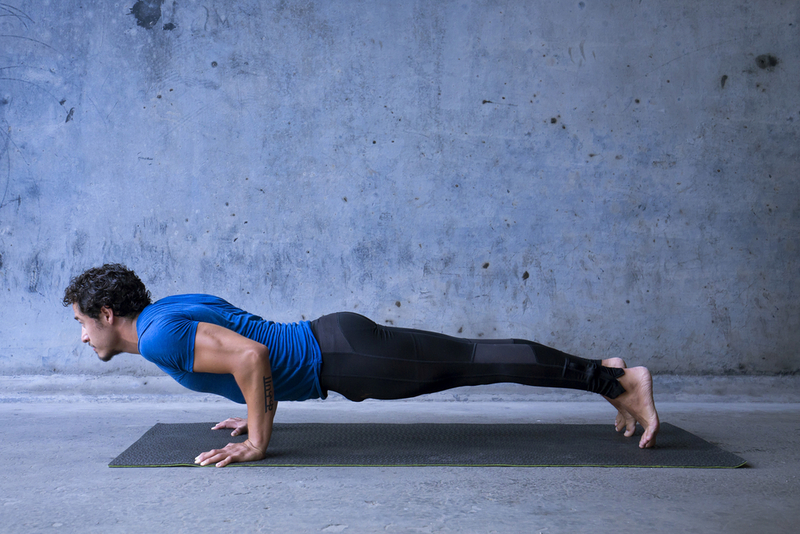 Basically, push-ups are effective exercise for strengthening chest and arm muscles. How to do: Get down on the ground setting your hands shoulder-width apart. Ensure your body forms a straight line. Begin to lower your body keeping elbows close to your body. Push back to starting high plank position. It’s an effective workout for whole abdomen. It improves body balance and helps you keep in shape. How to do: Sit with your torso leaning back at about 45 degree, knees bent, feet elevated a bit as if it should look like imaginary v shape between upper body and thighs. It helps you work on inner thighs and outer hip areas. It’s good belly fat burning exercise too! How to do: stand straight with feet hip-width apart. Raise your right knee as high as possible while raise your left arm. Reverse the move. Continue pulling knees up quickly. 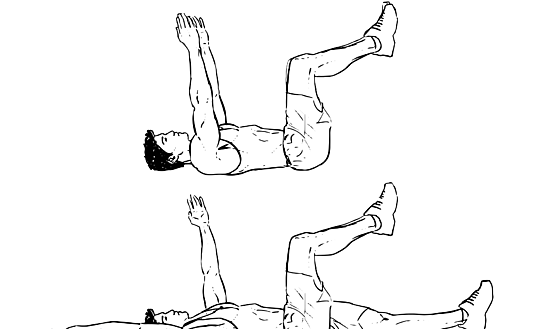 A great exercise for abdominal wall that improves your body flexibility and balance along with strengthening muscles. How to do: lie on your back keeping your legs and arms extended towards ceiling. Extend your right arm behind your head while lowering your left leg. Come back to original position and repeat it with switching sides. Pro Tip: Before you startup, don’t forget to warm up for at least 5 minutes! It’s important to properly warm up before exercising to prevent any injuries. Loosen up your muscles and joints of every part. Jog for a minute or march on to get your heart pumping. Stretch yourself and then start with the daily exercise! 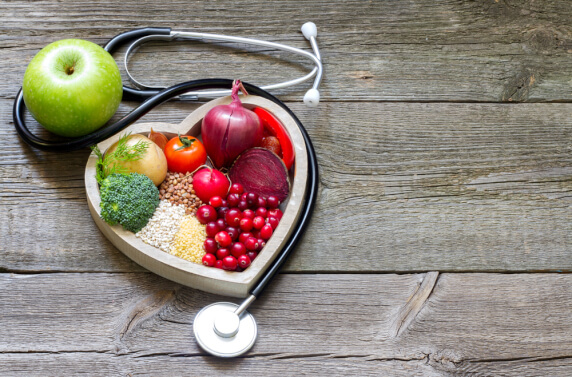 Remember, health is wealth. It’s never too late to start! Make a work out plan. Be determined, take out some time from your busy day and start these simple exercises at home. Eat healthy, shed some calories and stay happy and healthy!